I received this last night. I'apologise for not getting it up earlier. My bad. hours, it is deeply appreciated. will of a significant proportion of the population." various causes of his paralysis; yet the basic issue remains the same: Mr.
remain in Canada on humanitarian and compassionate grounds. be granted permanent residency on humanitarian and compassionate grounds. 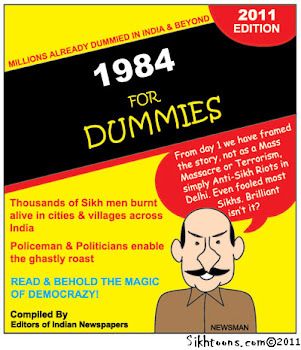 It is also important to note that Mr. Singh's case is not unprecedented. refused; however their deportation order was subsequently overturned. be entitled to live a healthy and dignified life. All Power to the People! No One is Illegal! Gurpreet Singh and Gurvinder Dhaliwal. Details: Saturday Jan 12th at 5:45 pm at Vancouver Public Library. 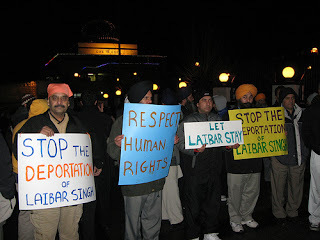 Organized by Communities for Laibar Singh. Call 604 779 7430.
and discourse at this time. Singh along with allies in Montreal, Toronto and other cities. 25 St. Clair Avenue East, Toronto (Immigration Canada Regional offices. before, please do so again! you are aware of the case of the paralyzed Punjabi refugee claimant Mr.
Laiber Singh, who is currently facing deportation . 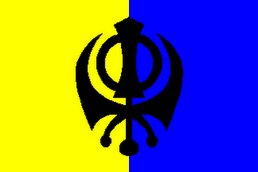 Committee, and a long list of South Asian community groups and gurudwaras. Canada on humanitarian and compassionate grounds. 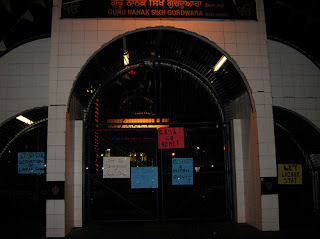 temple have granted to Mr. Laibar Singh and not attempt to remove Mr.